Plant a garden to sustain wildlife and benefit the planet. Pollinators love Lavender and we carry a good selection of different varieties. 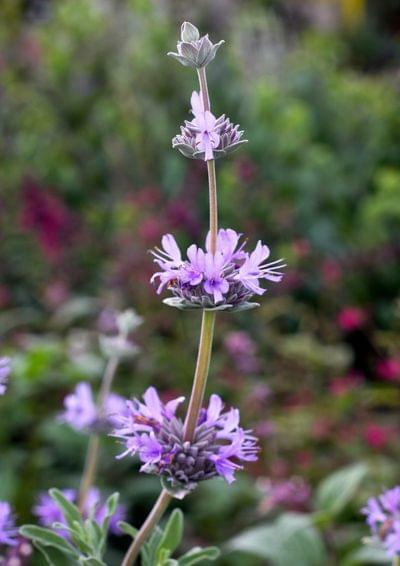 You'll find Lavender in our one-gallon area and in our larger-sized area with Salvias and Sages. Lavender is also available in small containers in our Herb and Vegetable section so you can find just the size plant for you! Aromatic Lavender is a sprig and summer stunner -- visually and with its fragrance. The Monarch Butterfly MUST HAVE Milkweed to survive. That's why we make having Milkweed year-round a priority and have partnered with top growers to do so. 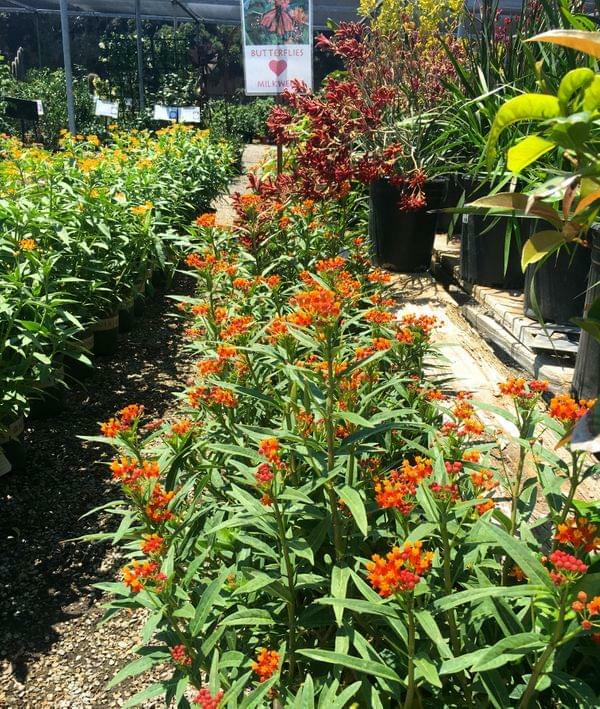 You'll find Milkweed in three-gallon containers, as well as one-gallon and sometimes smaller containers. Though it may look a bit like a weed when it's not in bloom, Milkweed is essential to the life cycle of the Monarch butterfly. Butterflies and other pollinators are often attracted to purple-flowering plants like this xxxxxx xxxxxx. Scabiosa is not only an attractive perennial to have in your garden, it also attracts butterflies. Butterflies are attracted to Alyssum, which flowers in white and purple AND is great as a border, low-growing ground cover, and container plant. 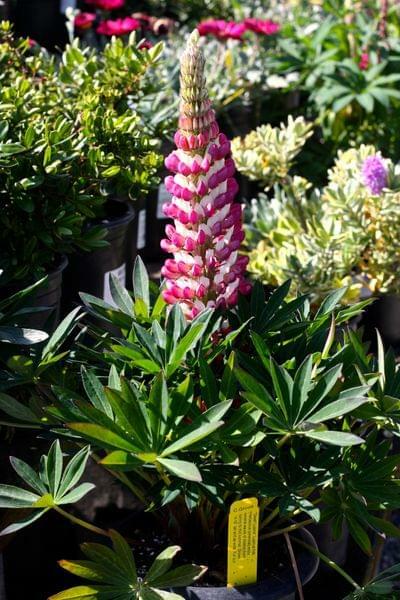 Hummingbirds and bees are attracted to Lupine, which is also a plant caterpillars (butterfly larvae) need. When the herbs Thyme and Oregano flower, you might see bees buzzing around those plants. That's because bees like them. Mustard plants are a favorite of bees.